They say rain on your wedding day means good luck. 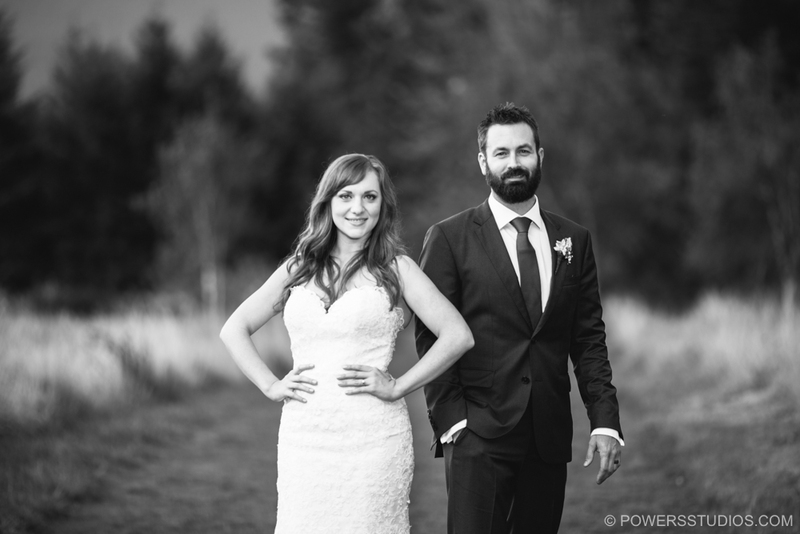 Well, Hayley and David are the luckiest couple in the world because a torrential downpour showered them with abundance of luck during their ceremony outdoors at scenic Skamania Lodge. Putting wedding superstitions aside, Hayley and David gracefully embraced the storm with their guests cheering and encouraging them on. Good thing everyone stuck around because the latter half of the ceremony was blessed with beautiful sunlight and a rainbow! My best wishes to Haley and David!